Ron Seybold has created stories in journalism for more than 30 years. He arrived at fiction with years of community and computer technology reporting. Evenings of acting and hours of radio broadcasts primed the pump for drama. It is all in a lifetime of learning to write about the future. He coaches writers in the development of their books, edits books from authors all over the country, and lives with his wife Abby and their standard poodle Tess Harding. 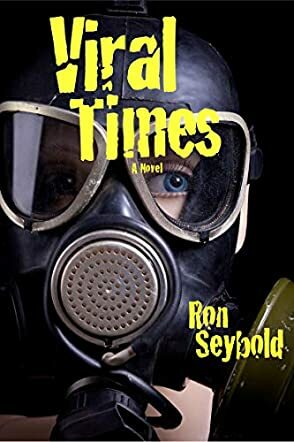 Viral Times is a pandemic-style dystopian novel by Ron Seybold, focusing on the aftermath of a modern day viral disaster. When a kind of super-AIDS virus prevents human beings from touching one another without risking death, the world turns to SexNet to experience intimacy on the most realistic level possible. Our central characters are reporter Dayton and homeopathic, somewhat mystical Angie, who both have lost loves and haunting memories in their pasts. When a new electronic virus called Mighty Hand threatens to purge the perceived sinners using SexNet to make some kind of physical connection, Dayton and Angie begin their quest to find a natural solution to the viral problem, resulting in powerful questions about Eastern and Western medicinal beliefs. This was a surprising and bold read. Ron Seybold’s unforgiving postmodern world marks him as a kind of Aldous Huxley for this generation. I found Viral Times to be an engaging read for the plot and characters themselves, but it’s the wider message about modern reality, intimacy, disease and fear that really absorbs a reader’s attention throughout the tale. Viral Times is a highly original work unlike anything I’ve recently read in the dystopian genre, and it will certainly leave its audience with many questions about the speculative potential of its terrifying plot becoming a reality some day. If you’re looking for high concept, thought provoking and detailed, complex fiction, I’d highly recommend Viral Times as a thrilling read that leaves you with a new perspective on science, belief, and the human condition.